University Postgraduate Journalist.Freelance sports journalist filing for News Ltd, WA News and Perth Now outlets since 2014.Former satellite circuit tennis player. 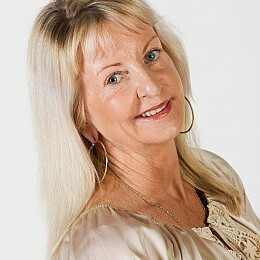 ABC radio correspondent for Tennis and rural weather.Initiated first Hopman Cup radio/online commentary in 2010 & 2011. Australian Open Radio 2013-2014 Former track and field athlete as well as state level triathlete. I was told be the doctors I would never run or play tennis again after being diagnosed with Rheumatoid Arthritis. Spent the years since proving them wrong. Confessed sport addict. Worked for SOCOG at the Sydney Olympics as a Media Supervisor. World ranked Over 50's veterans tennis player. 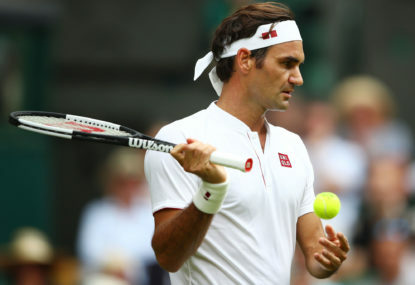 One sure way to make the always polite and highly-mannered Roger Federer roll his eyes in a press conference is to keep asking the ‘R-word’. Retirement. Can West Australia's Astra Sharma dream run roll on? Astra Sharma took more than two hours to wear down fellow Australian and wildcard entrant Priscilla Hon in the first round of the women’s singles at the Australian Open on Monday. Rethink summer: Has Australian sport had its time in the sun? ‘Rethink summer’ – the marketing tag for this year’s Australian Open – may prove prophetic. The Turkish Athletics Federation and their Olympic Committee announced on Monday, August 5, they had banned 31 of their athletes for doping violations on the eve of the World Athletics Championships. Sally Pearson has discovered her form and mojo in the nick of time to defend her world 100 metres hurdles title in Moscow at the 14th IAAF World Championships starting Saturday 10 August . Is it time? August 2013 might be the time when two of the longest standing world athletics records are broken at the 14th IAAF Athletics championships in Moscow starting this Saturday. World and Olympic Champion Sally Pearson could use the happy memories of her triumph in the London Olympic Stadium to inspire her to get her world championship defence up to speed in the opening stanza of the two day London Diamond League meeting, tonight. Nine times grand slam champion and former world number one player, Martina Hingis has announced her comeback to the 2013 WTA doubles tour. It is not every day that Australian track and field teams finish ahead of the mighty USA on the medal tally, so when it happens, it is something to celebrate. It has been a great week for Australian female Javelin throwers. Western Australian javelin thrower Kim Mickle almost pulled off the upset of the year, akin to Sabine Lasicki’s defeat of Serena Williams, at the Paris Diamond League meeting at Saint Denis on Saturday July 6. The surprise defeat of Usain Bolt by Justin Gatlin last week in Rome put athletics in the news bulletins for a moment, but the result perhaps needs to be examined further with a much bigger story behind the scenes. Serena Williams enters this year’s French Open as the one to beat. French Open preview: Men's draw most open in years. Injuries to top ranked players and stunning form from some of the lower-ranked players have made the lead up to Paris most intriguing. Picking this year’s champion is a very difficult task. Tommy Haas showed age is no barrier to him playing brilliant tennis in claiming the Munich Masters 250 title on Sunday. Any doubts about whether Rafael Nadal is back to his best were annihilated when he trounced long-time rival Roger Federer 6-4, 6-2 in one hour, 24 minutes in their quarter-final at the Paribas Open at Indian Wells, California. World number two Roger Federer survived a scare in the fourth round of the Paribas Open in Indian Wells, needing three sets to defeat his countryman and good friend Stanislas Wawrinka, 6-3, 6-7, 7-5. It is a very sad day in sport when a governing body has to punish the whistle blower to save its own credibility. 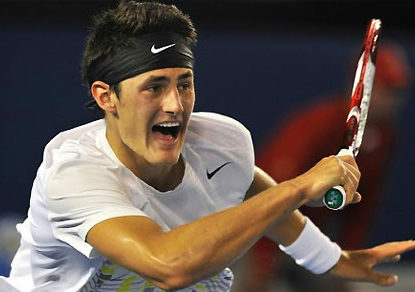 Bernard Tomic: punk to prince? News Limited sports journalist, Mark Stevens, titled his story on Andre Agassi’s 2003 Australian Open victory, ‘From Punk to Prince’. AA vs Steffensen: Who's telling the truth? The ruling released today by an independent body stating that Athletics Australia has no case to answer against John Steffensen’s claims of racial vilification and discrimination poses more questions than it answers. Hot enough (to cancel the Test match cricket) for ya? Yes..we once laid out in the sun with baby oil on us..A tan was ” healthy”..Just ask Richie Benaut how “healthy” a tan was to him? thats why I used the word “perhaps” when referrring to the 4 x 400 team…it is a long shot that they will make the final but in all relays anything can happen with batons being dropped etc…..I am quietly excited about our 4 x 100 metre team…they were excellent in London!. Eurosports own website say they are running all sessions live but it does not appear in the Foxtel schedule in Aust. It says Europsort HD is running it. You would think thay europsport in Aust has shown all the Diamond League all season that they would do the World Champs. I am hoping the Europsport News Channel run it in full. Otherwise streaming is the only other way. Any Olympics the most watched event is the mens 100 metre final..It transcends and defines all other sports…everyone talks about it…and yet it appears come the world championships it is not even televised in Aust. Shame…big shame…..hope it is rectified by the time Sally runs next Saturday. like to be a paid employee to sell their product…are they going to chose an ugly one?would you? Must female athletes look good, too? Oh my god you read my mind…this very second I just emailed a sports journo colleague and said the exact same thing…in fact I got the tweet about it on Monday and yet did not read it till today so a whole 24 hours and nothing about the turks in the media….mmmmm. Update.30 Turkish athletes have just been banned by their federation & olympic committee for doping violations. Better to be found out now than after perhaps winning a medal in Moscow. Not sure about Europsort but better still SBS 2 are the host telecaster in Aust. Yey for free to air. Yes Blanka is something special and was going very close to nudging the world record two years ago. I am afraid the archilles injury she suffered may have stolen that chance from her. It is great to see her back in any case, in any form. Her and Isenbayeva are certainly the poster girls of world athelics. Thanks James. Yes aware of Kynaard just that Barshim is more news worthy in a preview context. I will do the track events preview later in the week. Sally is lacking the blinding speed she had in the the last two years just due to lack of races as a result of the injury. However, what is encouraging me, is that her technique is still smooth and classic Sally. The thing is when you lose some speed, and you try too hard, is that your technique and rhythm break down. Sally so far has held it togehter well and only concentrates on her lane, her race and her technique no matter what place she is in the race at the time. This encourages me greatly for Moscow. It is the Brianna Rollins factor that is unknown at this stage…being so young she may race while Sally will hurdle…bit like two boxers sometimes..one will fight and try to knock the other out and the other will box and last the distance and win on points for not letting his guide down. In regards to all the other medal chances I will do a full preview in next week. There are two serious chances at long term world records being broken at these championships in Moscow. Weather permitting. Those players for those countries still believe in the honour and privelage of playing for their country. I feel like the Australians in the last 6 years have become a bunch of media celebrities and who believe in their own publicity and become complacent as a result rather than cricket players where the cricket is the focus in their lives and not the fame and fortune that goes with it. Is the Big Bash League to blame for our Test plight? In a word..YES…what is to blame is people selling out to the pay packet and getting by with average techniques that are not exposed in a dash and bash of 20/20 and very badly exposed when they have to concentrate in the heat of the day for more than half an hour! Just when things seem to get back on track with a good result and some positive outcomes they take the 12 gauge and empty both barrels into their foot…AGAIN…Cricket Aust must have seen this coming and you would have thought had an issue strategy ready to go? Yes good point. adn that is why I used the word “perhaps”…. but I am referring to competing at the same time against each other at the highest of international competitions …Lou followed Jo in consecutive championships but did not have perform to be be on the same world podium at the same time as Kathryn and Kim do now and like Christine and Vanessa did. riday Perth time) the IAAF web site had the qualifying results up as the final…You are so right and Eleanor did indeed win the gold overnight australian time as did Matthew Denny who took the bronze in the boys hammer throw. Great results all round taking Australia to third on the medal count behind Jamaica(no surpirse there) and China and even ahead of the USA….so thank again Barney for being so onto it and taking an interest in track and field. Oops yep typo…good point!…the others are all there abouts as semi finalists but have not put in any performances recently to asses where their form is at…..Dani Samuels could come from nowhere again as she did in Berlin….traditionally for all athletes the world champs following an Olympics is lacklustre as the Olympics has been the pinacle and either motivation or injuries from a very hard year prior raise thier head as in Sally’s case. Even Usain Bolt has admitted he is struggling this season after being “lazy” during the winter following the Olympics. The last few lead up events before Moscow will let us know what form everyone is in. I am REALLY looking forward to Sallys’ race againgst Rollins in Monaco.Sally is such a big time event performer she could pull out a big one. Yes Robz i agree ..I think Clarke is cut from the same cloth Ponting was as captain…more focussed on being “one of the boys” in the team and popular with his team mates rather than making the hard leadership decisions and setting behaviour standards…Agreed that members of past teams may not have been angels either but remember then there was not a CCTV camera on every street corner and/or everyones hand in the form of a phone …away from the glare of the worlds instant media, what went on on tour, stayed on tour….times have changed and because of it, behaviour has to as well….this goes for all high level sports people and those who derive a huge lifestyle from being in the spotlight…. Someone needs to remind Warner and the whole team for that matter they are NOT on a school camp or an end of season football team trip to Bali….Is it just me or is it not an absolute privelage and honour to be selected to represent your country for ANY team? and thus treat it as a privelage and behave accordingly with some decorum!…..I thought cricket was a gentlemens sport….there seems to be very few in the team these days…standards of behaviour have slipped badly since Steve Waugh retired…I wonder what the culture in the team would be like now if Gilchrist had been chosen instead of Ponting as captain. MIke Hussey should be sent over as a chaperone if not a player perhaps! 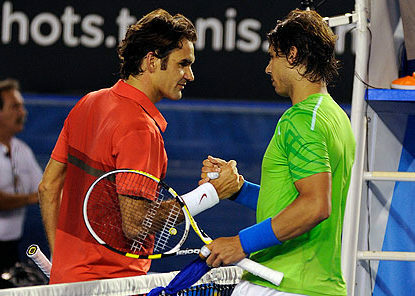 it means that he has lost on clay to other top ten players than any OTHER suface.